Successfully Added 3.0 Inch LCD 7.2M CCD Digital Camera - 3 X Optical Zoom to your Shopping Cart. 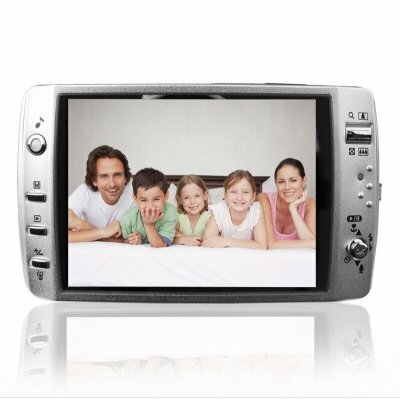 This is Digital Camera with large 3.0inch LCD display and built-in 16MB flash also compatible with 2GB SD card. Features high quality 7.2M pixel CCD Imaging sensor and max still image resolution is 8.0M pixels with interpolation. Built-in speaker and microphone, it could be a MP3 player and comes with 3.5mm earphone jack. Fashion design and one Li-ion battery to give power supply..
Super camera, com otima visao na tela e super pratica de manuzear.